Then, she segued into introducing... U2, who weren’t up for any Grammys this year, but justified the transition by name-checking The Joshua Tree, their three-decades-old album that confronted the American Dream almost as a means of tourism, traveling to a land they didn’t grow up in to arrive at some universal truths (and multiple Grammy wins). The Grammys are always selective about how they want their sanitized activism, along with the spaces in which they want women to be seen and heard. It would have been a more subtle and meaningful gesture to give that performance slot to a Cuban-Mexican immigrant in the first place, sans U2. But when have the Grammys ever been very good at either of those qualities? 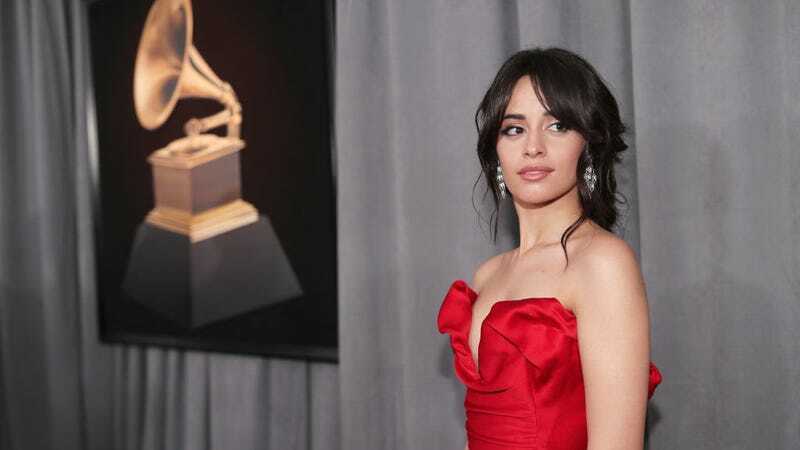 Will Camila Cabello Become America&apos;s First Latinx Sweetheart? Who Do the Grammys Serve?